● Your little gal or guy will love hunting for Easter eggs with this special basket. 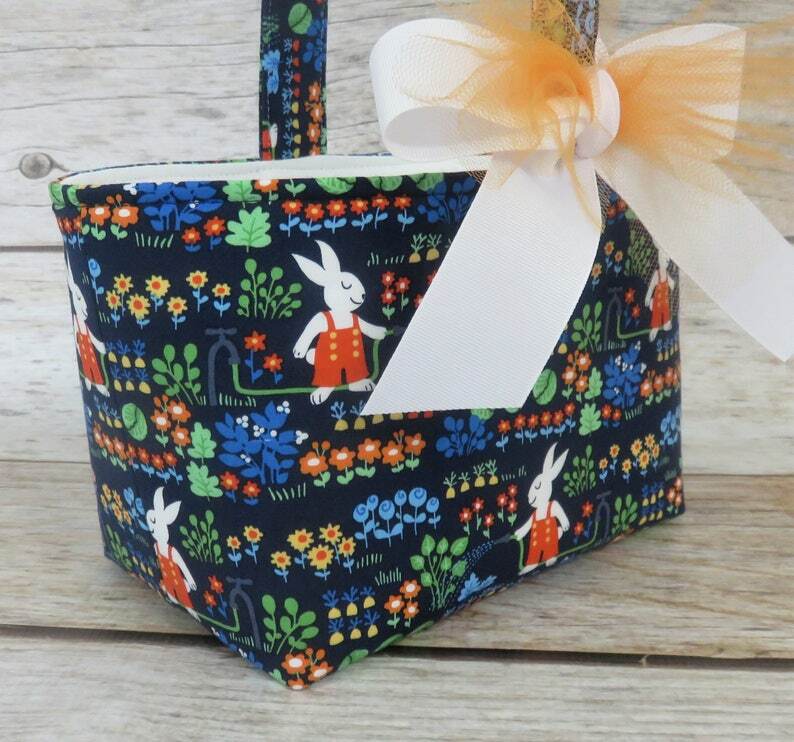 ● Rabbits Bunnies in Garden Fabric. ● White fabric for the inside/ lining. ● Embellished with grosgrain ribbon bow accent. Easily removable if you wish. ● Use the drop down menu to choose "Yes Name Tag" when checking out. Missing information can cause a delay in shipment of your order. I am a repeat customer to donate these to a local nursing home’s children’s Easter egg hunt. Excellent quality!